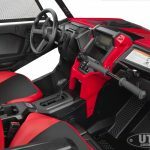 2 all-new Honda Talon’s rock the sport side-by-side world. Ever since images leaked of a new Honda side-by-side earlier this year, the industry has been buzzing about what the new machines, dubbed the “Talon”, would actually be made of and how they would fit into the growing UTV industry. Well, the cat, errr claw, is finally out of the bag. 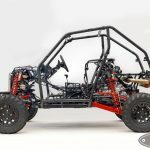 Indeed, Honda has unleashed the so-called Talon into the world! 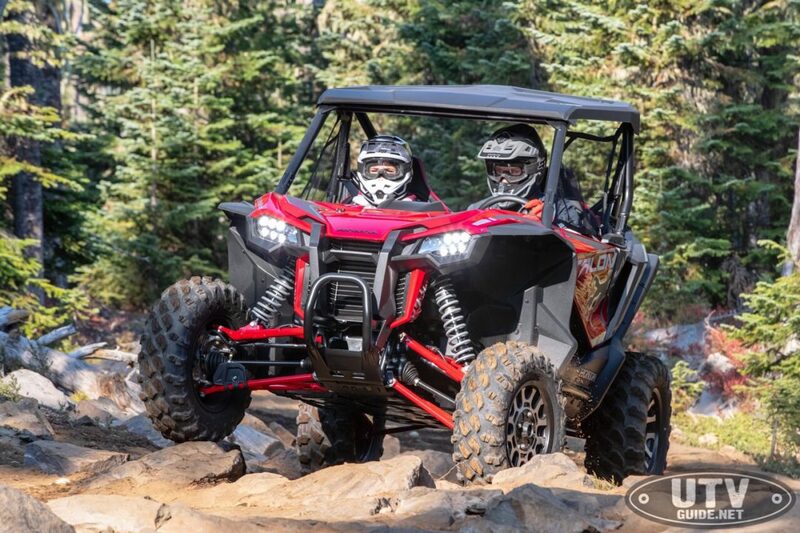 The all-new Honda Talon is a side-by-side aimed purely at the sport segment. 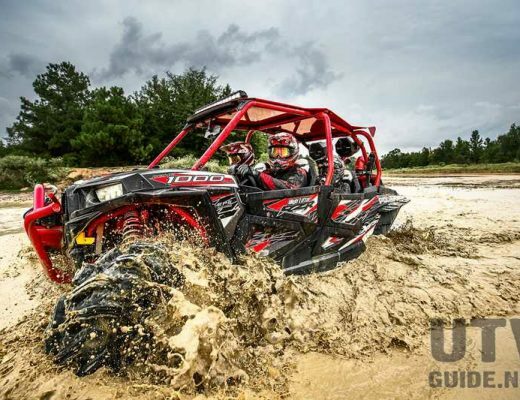 Bringing two different models into the equation, the Talon 1000R and the Talon 1000X, the Honda Talon lineup is ready to take on the segment that they identify as the fastest growing in the UTV industry. Both Talon models come with the same one piece chassis, but the 1000X model is a 64” wide machine with a 3-link rear suspension, while the 1000R is a wider and more desert/sand/high performance-oriented 68.4” wide machine with a 4+ link suspension. 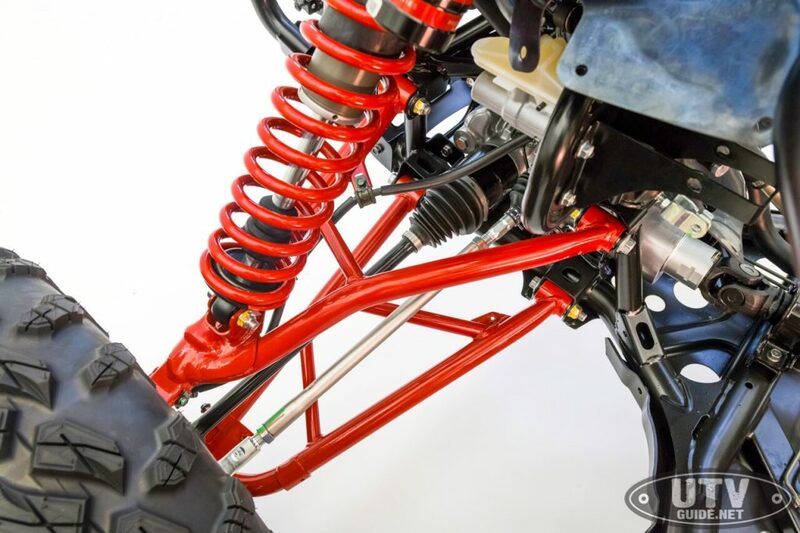 The all important wheelbase number measures out to be 92.7” on the 1000R and 87.6” on the 1000X. 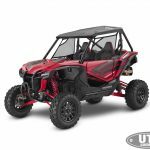 Overall length of both units is right at 123.9”, and ground clearance runs right at 13” on the 1000R and 12.7” on the 1000X. 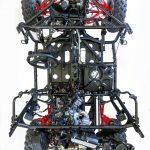 The only other differences between the two models are associated with the suspension, and we’ll get into that in a minute. 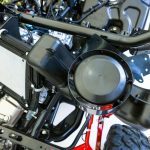 The engine is the same in both machines, and it is loosely based off of the Honda Pioneer 1000 powerplant. 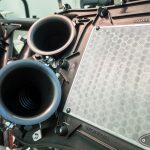 The Talon engine, however, is retuned to be more sporty than the one found in the Pioneer with internal component upgrades in the form of crank modifications, roller rocker arms, and different pistons. 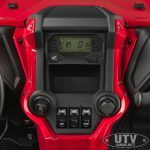 For those of you wondering, all of these updates are adopted from the Honda Africa Twin adventure bike that has been a hot seller in that respective powersports category. 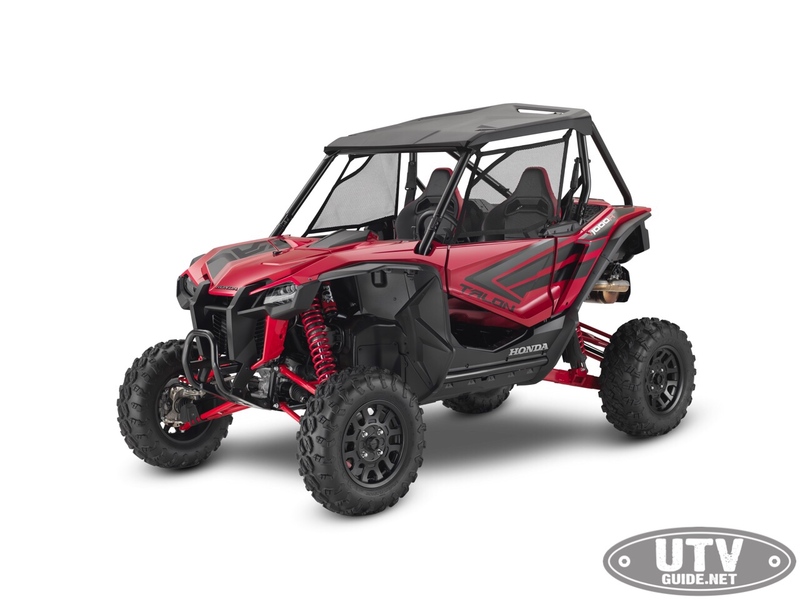 Essentially, this 999cc Unicam parallel-twin engine puts out a Honda-verified 104 horsepower, and it’s mated to a high/low equipped 6-speed Dual Clutch Transmission (DCT), also adopted from the Pioneer lineup. 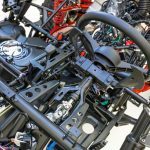 This transmission has been updated with new shift mapping to make it shift 50% faster than the one found in the Pioneer. 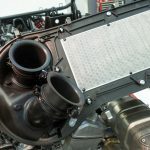 It also has an updated oil cooling system for the clutch so that this critical area stays cool in even the hottest of days. 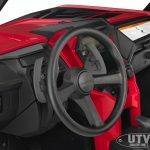 Reverse gear is 18% lower in the Talon than the Pioneer, which should give the driver more control over challenging terrain. 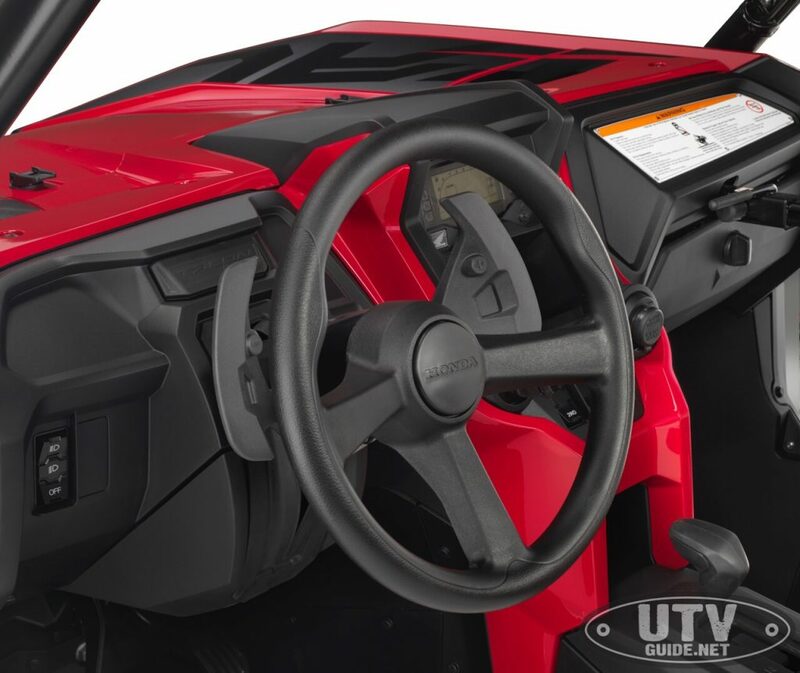 Also, the driver can put the transmission in either fully automatic mode where it shifts by itself, or you can use the steering column mounted paddle shifters, which are tailor made to the make the driving experience so much more exhilarating, especially with the retuned transmission dynamics. 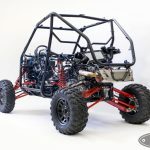 We’ll have to wait and see how the Talon performs in challenging conditions, but all of the cumulative efforts by the Honda engineers seems to be very promising in the real world. 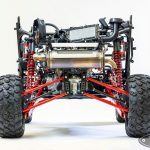 The engine comes with a dry sump oil system that allows the engine to not only be lubricated at any angle or speed but also allows the entire powertrain system to be mounted low in the chassis. 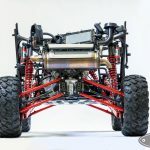 We got up close and personal with this chassis, and we were impressed with how low all of these powertrain components are mounted. 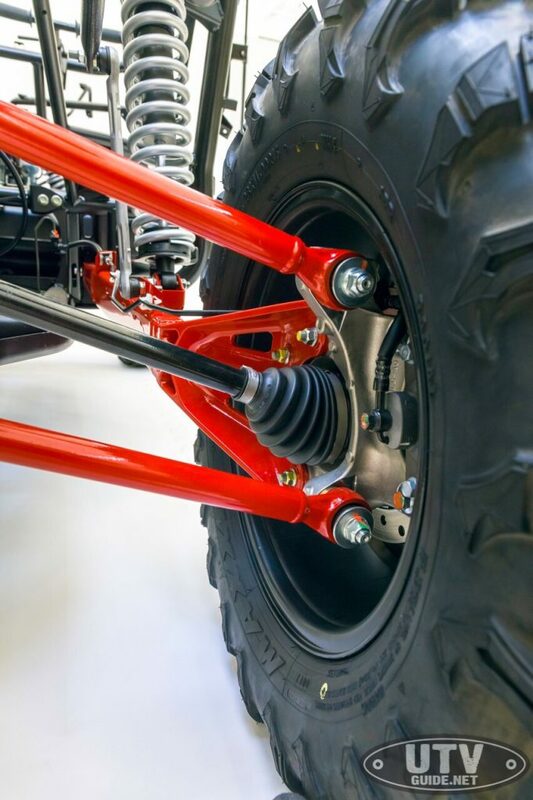 Outside of the engine/transmission area, you’ll find both a front and rear differential, with the rear being always locked for ultimate traction. 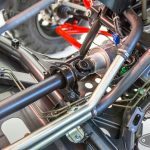 The CV joints are massive in the front and rear, with Honda claiming that their durability testing consistently rates their setup as the best in the industry. Coming from the manufacturer that has always been at the top of the durability charts, we tend to trust their judgement on durability. 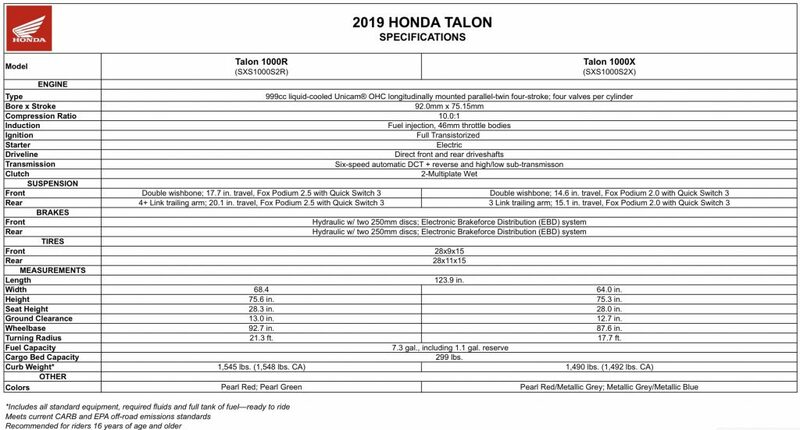 One Talon-specific feature that was interesting is the addition of Hill Start Assist (HSA), which seems to be derived from the auto division of Honda. If you are stopped on up to a 60% grade, you can activate the HSA system via a dash button. 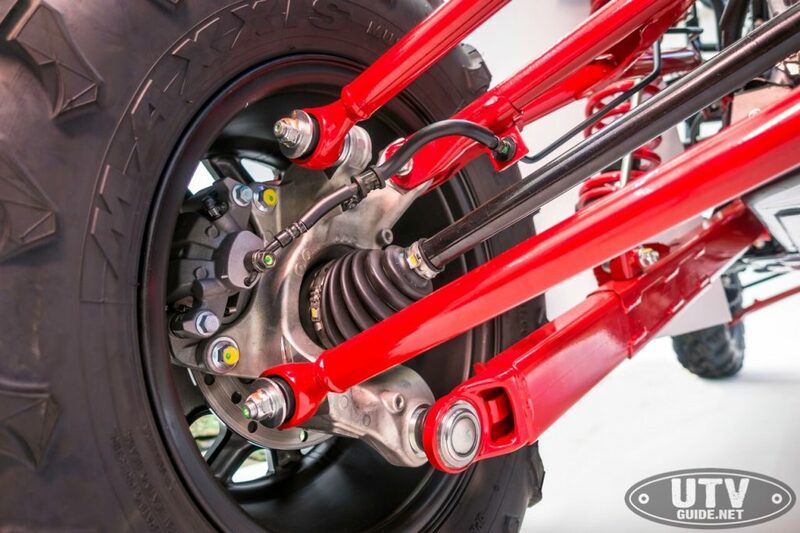 When activated, the HSA systems holds the brakes even if you let off the pedal for 3 seconds. This allows the driver to transfer their feet from brake to gas without slipping backwards. This will definitely be a handy feature for one foot drivers out there. 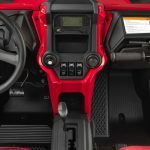 The push button activated on-the-fly 4WD system is Honda’s own i4WD off-road brake traction control system, which electronically manages the amount of slip between left and right front wheels and applies torque to the wheel with greater grip. 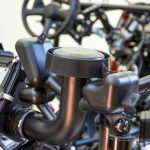 The system is designed to reduce steering effort and kickback, especially when you compare it to a fully locked front differential. 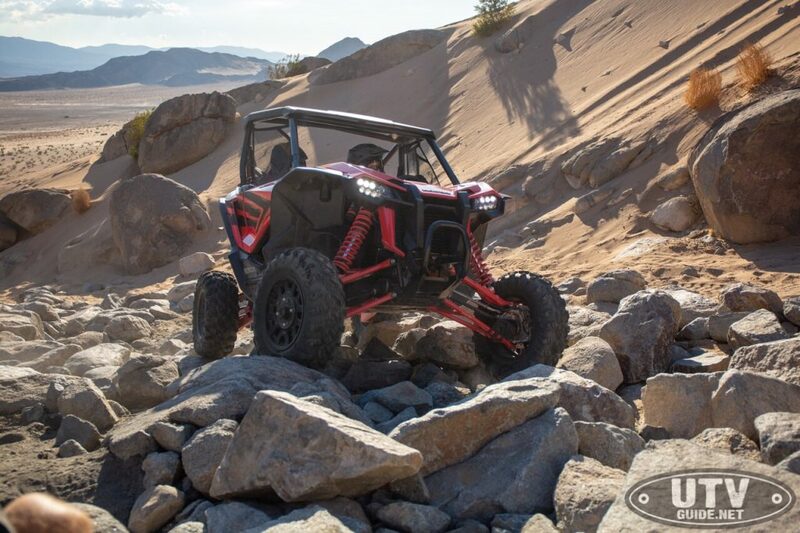 While Honda did show the Talon going up a pretty tough rock trail in Johnson Valley (Chocolate Thunder), we are still mindful of the fact that this differential isn’t fully locked and the driver will be relying on an electronic system to manage the traction to the front wheels. 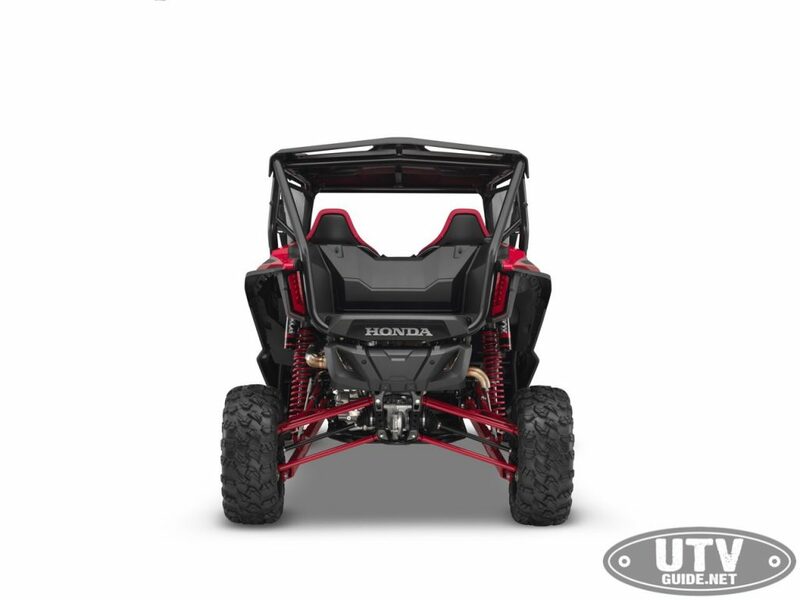 We are looking forward to getting behind the wheel so we can see how this system works in the Honda Talon. 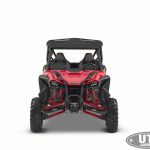 Both Talon models feature double a-arms up front. 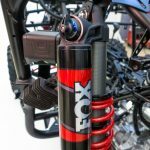 The 1000X (64” wide model) comes with Fox Podium 2.0 shocks with Quick Switch 3 compression adjustment and 14.5” of travel, while the 1000R comes with Fox Podium 2.5 shocks with Quick Switch 3 compression adjustment and 17.7 inches of travel. Making our way to the rear of the vehicles, there are 2 different setups found on each of these models. 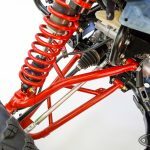 The 1000X rear suspension is a 3-link system with high clearance trailing arms and Fox Podium 2.0 shocks with Quick Switch 3 compression adjustment and 15” of travel, while the rear of the 1000R features a very unique 4+ link trailing arm suspension system with toe link. It’s different than anything else on the market, that’s for sure, but the geometry looks to be promising when looking at it up close. Fox Podium 2.5 shocks are found back here with Quick Switch 3 compression adjustment and 20.1 inches of travel. 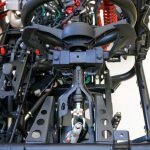 Also note that both models have dual rate springs, which should really increase the compliance and overall ride quality in a variety of terrain. 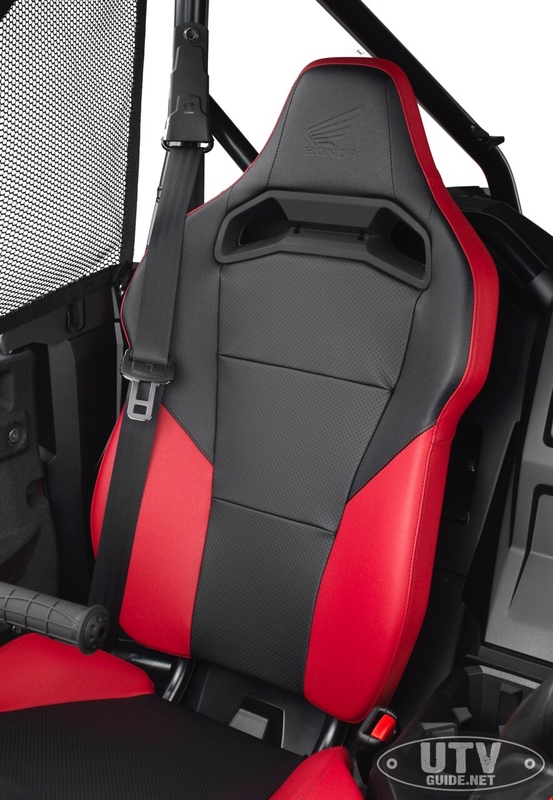 The 1000R also features crossover adjustment for further fine tuning. 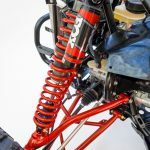 When we asked Honda how they settled on the 68.4” width on the 1000R model instead of a 72” wide machine, the engineers told us that they benchmarked the 20” of suspension travel in the rear as their target number, and based on suspension geometry and overall chassis design, they came to that width as being the ideal number for this vehicle. 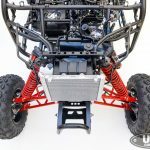 Taking a wide look at the vehicle, you can see how the design of the Talon is modeled after the CRF lineup of dirt bikes. The arching fenders provide good protection from the elements, and Honda engineers included some good over fenders to help keep the elements out. The overall design is very clean. Manufacturers keep improving their doors, and the Talon has been designed with some very sturdy and easy to use units. The latch is on the inside of the door and is super easy to use with its rolling functionality. The inside of the door is plastic lined and includes a handle and arm rest for your outside arm. We do wish these doors encompassed the full opening but hopefully the aftermarket takes care of this. 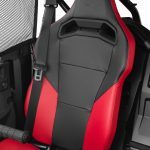 Stepping inside of the Talon, the seats are well bolstered and ready for 4-point harnesses right from the factory, a feature we love! We’ll have to get behind the wheel to really test out the seats, but the overall design is well bolstered on both the bottom cushion and on the seat back. 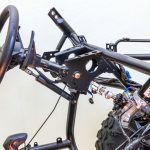 The driver’s seat adjusts with a real bearing-equipped slider that is super easy to use, and steering wheel also adjusts to dial in the seating position. Overall, the sight lines out the front of the Talon aren’t the best in the industry, but both models do have a smooth hood to see over. Benchmarking a male at 6’3” tall, it’s not fair to say that the Talon has the most driver’s compartment room in the industry, but it is very adequate. Driver’s taller than that measurement will probably be a little squished overall. No matter where we sat in the inside, we were rewarded with a well laid out dash area with 2 storage pockets, a gated shifter, and all of the necessary buttons in easy to reach places. Unfortunately, there aren’t any more pre cut out switch spots for adding accessories. This will be easily alleviated by using other space on the dash for accessory switches, but you’ll probably end up losing one of the storage spots for your switches, thus eliminating some storage space. 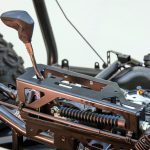 The passenger space has great footholds and quite possibly the best passenger grab handle in the industry with an infinitely adjustable design that is super secure. Overall the interior seems to be a great place to be, and, again, we really look forward to getting behind the wheel so we can really test it all out. 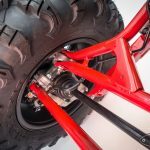 Some other features of note include the 28” Maxxis tires mounted on 15” wheels. On the braking side of things, 250mm calipers are found at all 4 wheels and should provide good stopping power. The overall size of the brakes seems to be very adequate for everything from play riding all the way to racing. 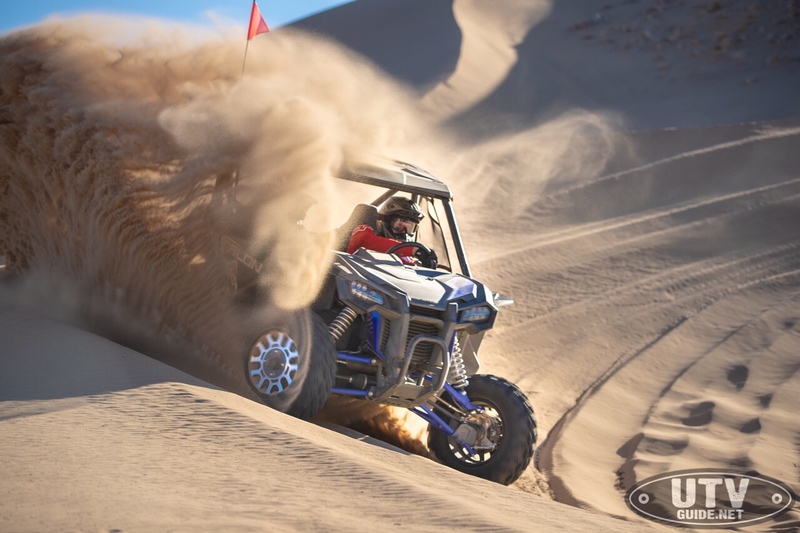 The cooling system on the Talon includes the largest radiator ever found in a Honda powersports vehicle, and it is mounted in the front of the vehicle. The rear cargo bed has plenty of space for a large cooler, and there are 6 d-ring tie down hooks to secure cargo. 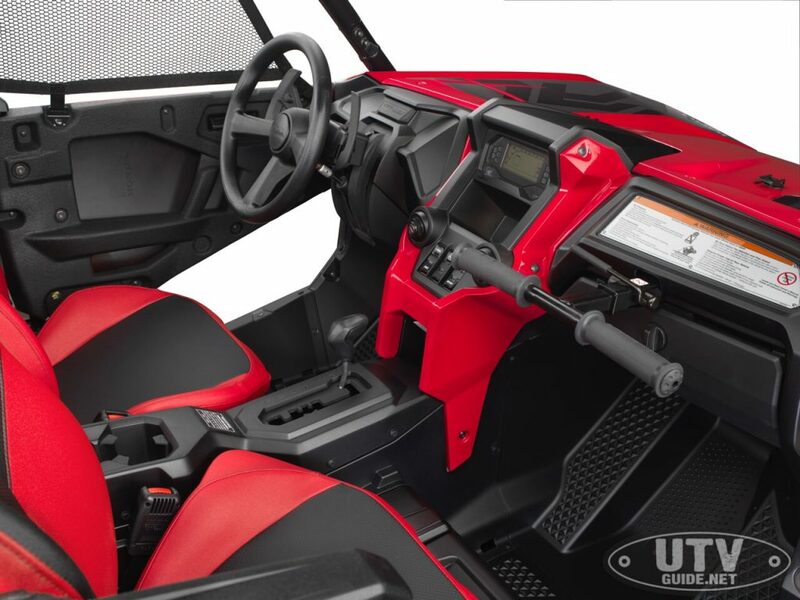 The cargo bed can haul up to 299 pounds. 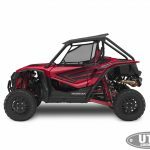 Adding to the quality of the Talon side-by-side lineup is painted bodywork on both models – the 1000X comes in either Pearl Red/Metallic Grey or Metallic Grey/Metallic Blue colorways and the 1000R comes in either Pearl Red or Pearl Green colorways. Last but not least, the curb weight on the 1000R comes in at 1545 pounds and the 1000X comes in at 1490 pounds. 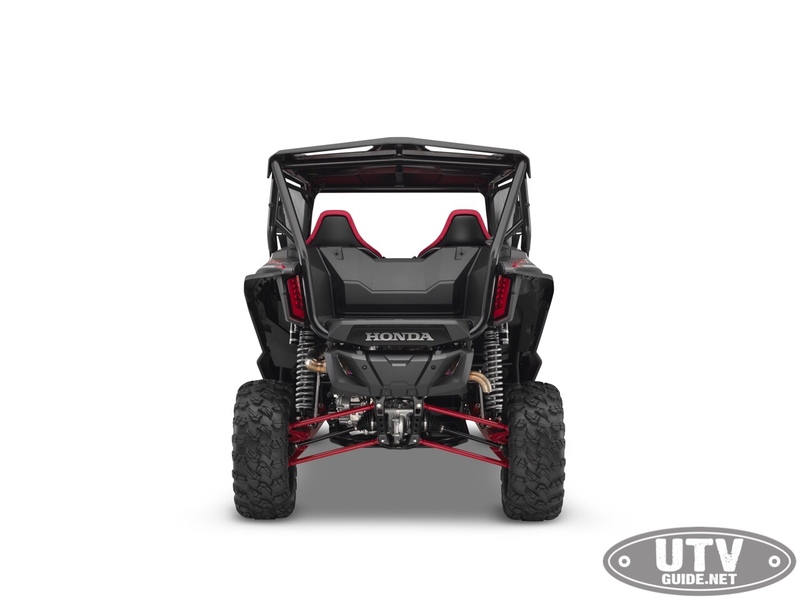 Over 40 Honda accessories will be available right from the launch, including HMW skid plates for the suspension arms and full underbelly (a stock full length composite skid plate is included from the factory), LED light bars, an SSV stereo system, soft storage options, and much more. 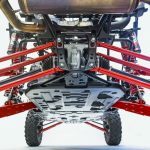 We are happy to know that the hard sun top comes on both stock machines so you don’t have to add one as an accessory, and it is specifically designed to keep the water out of the cab with a deep rain gutter spanning the full length of the front. 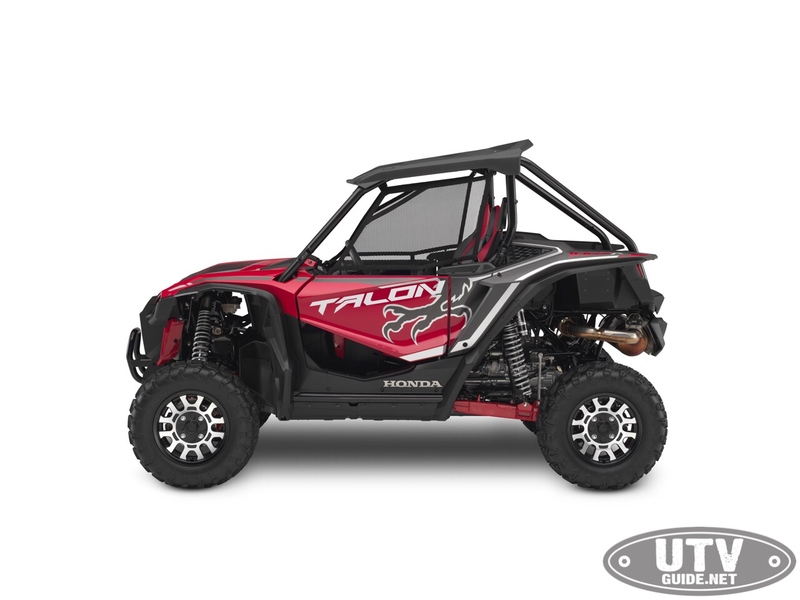 It was mentioned over and over again how the all-new Honda Talon was bred from a Honda R&D team who not only love the sport of off-road, but they are also both past and present racers. 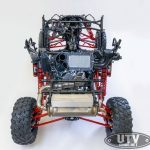 Based on the features included in the Talon lineup, we can see how the Honda engineers took their own unique approach when developing these 2 vehicles, and the sum of the parts looks to be a top-notch package. 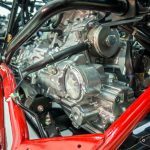 We’ll have to wait and see if this is true when we drive it for the first time, which probably won’t happen until early 2019 when vehicle production ramps up at the South Carolina factory. 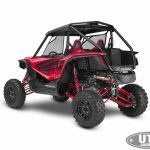 Yes, the Honda Talon is built in the USA! 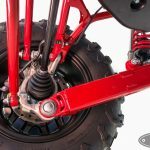 And, don’t expect pricing for either the Talon 1000X or 1000R to be announced until January 2019. You can bet we’ll have all of the information when it’s available. Stay tuned! Overall Length – 123.9 in. 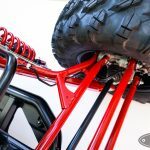 Turning Radius – 21.3 ft. 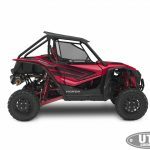 Turning Radius – 17.7 ft.